Hi, I am trying to find some klipspringer antelope hair of the salt and pepper mottled kind, is there anyone that can help me locate some? 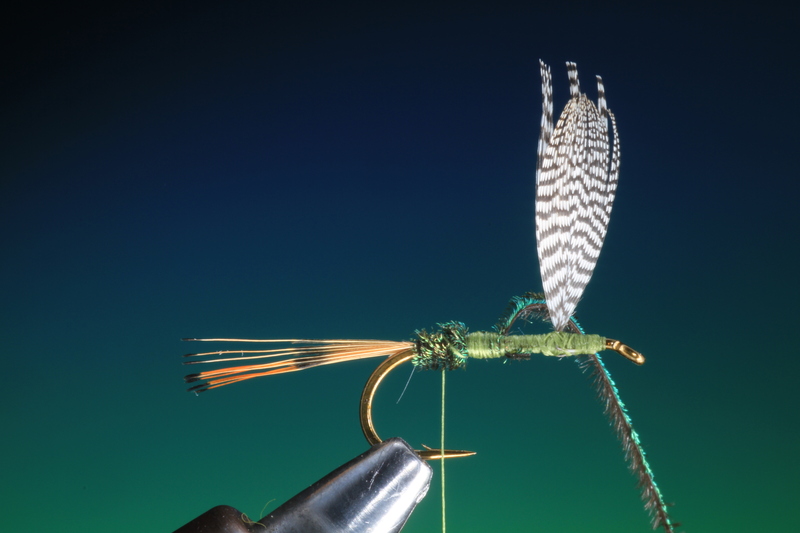 Its often said “If you can tie a good dry fly, you can tie just about anything” this makes dry flies sound extremely difficult, they are not. There are many other patterns that look much simpler but are much more challenging for the tyer to master. 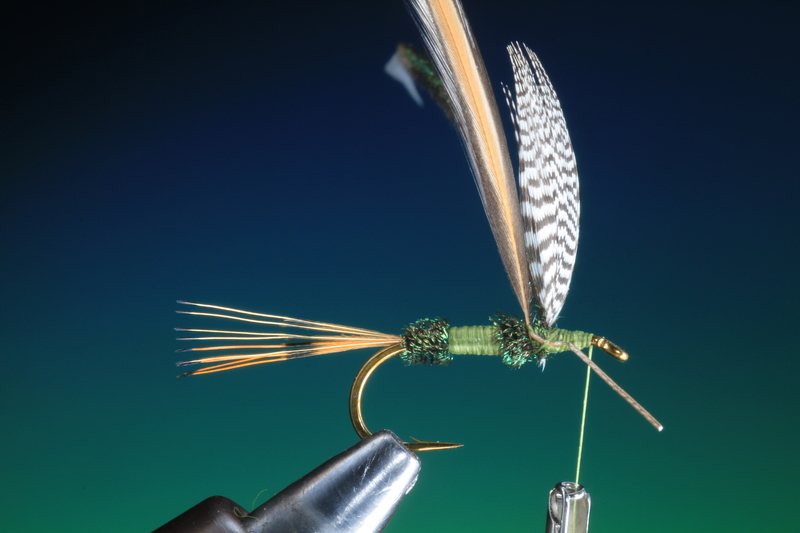 Follow these rules and you will be tying great dry flies in no time. 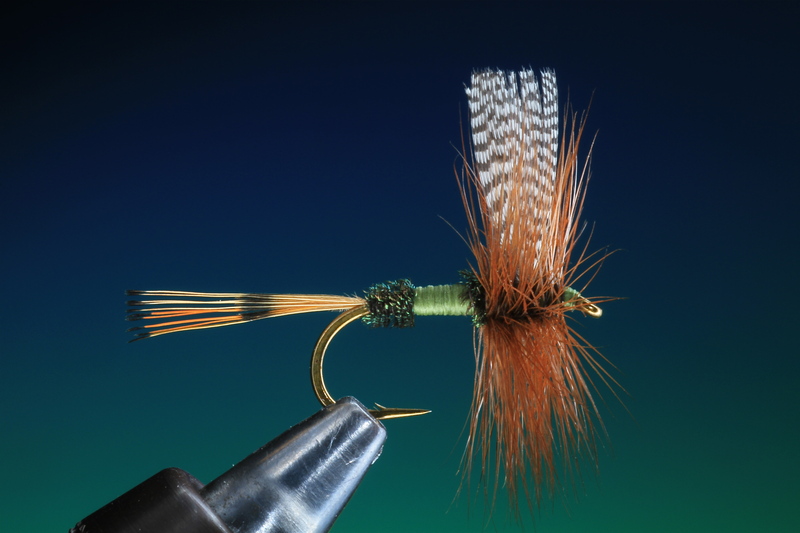 Although you dont need perfect, great looking flies to catch fish, a well proportioned dry fly will float better and fish better in many cases giving a much more correct footprint on the water. There is also the wow factor, a well tied box of flies is always a great talking point amongst friends and other fishermen! 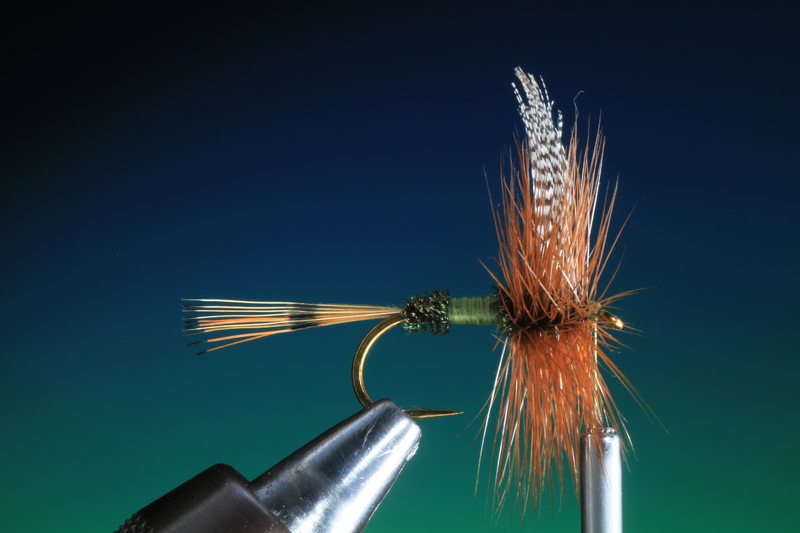 The techniques shown here are normally only learned after many years of tying and observing other more experienced tyers. If we where talking about a play station game, they may be thought of as cheats! 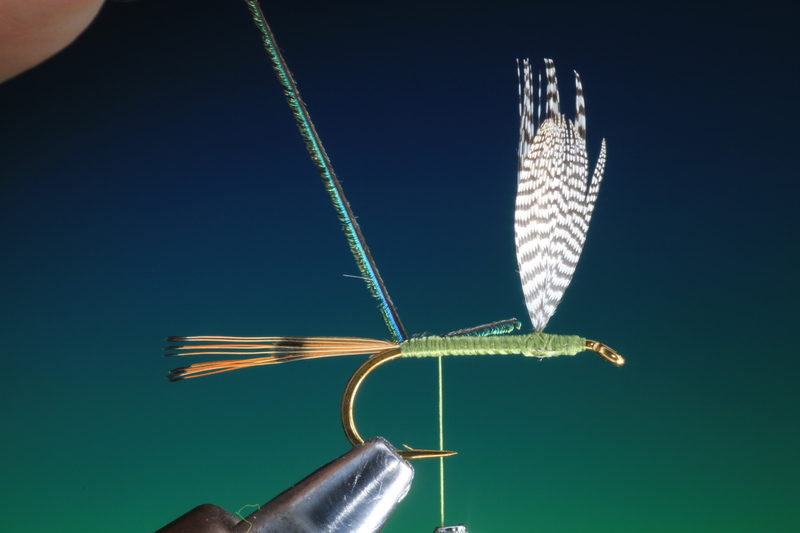 Here you are given a condensed lesson in tying the classic dry fly. If you learn the correct way right from the start you wont carry on making elementary mistakes. So study, learn and practice these techniques, and apply them to other patterns with a similar style. 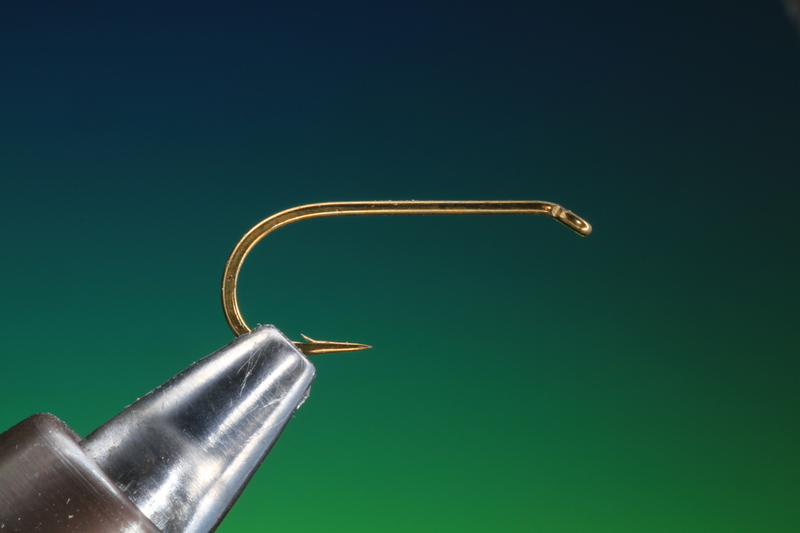 Secure your hook in the vice, so the hook shank is horizontal. 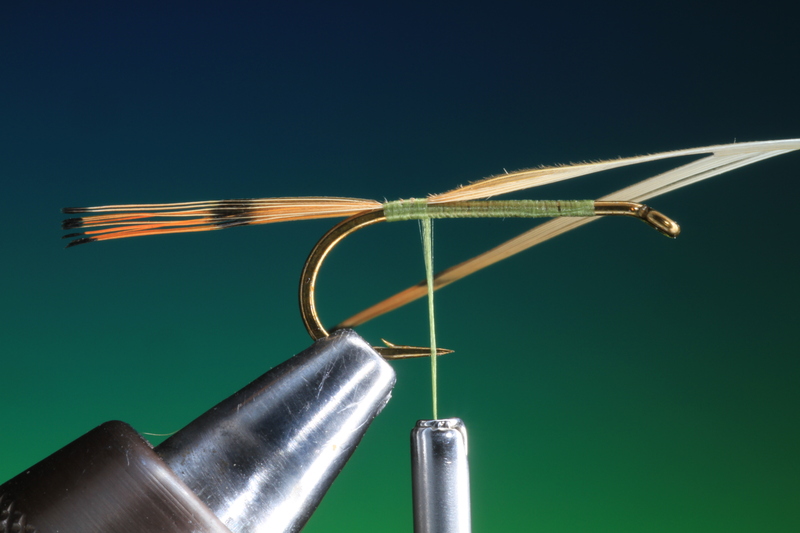 Attach your tying thread and cover the hook shank with a even foundation of thread. Take a golden pheasant tippet feather and cut out a small section as shown. Keeping the tippets on the feather shaft will give you perfect aligned tips and also keep the tippets the right way while you tie them in. Lie one side of the tippet section on top of the hook shank and adjust to the correct length, see proportions chart. Tie in. Trim off the tippets 2/3 of the hook shank length or where you will tie in the wings. If you cut them off shorter you will have an un even underbody later. Tie down the tippet butts. 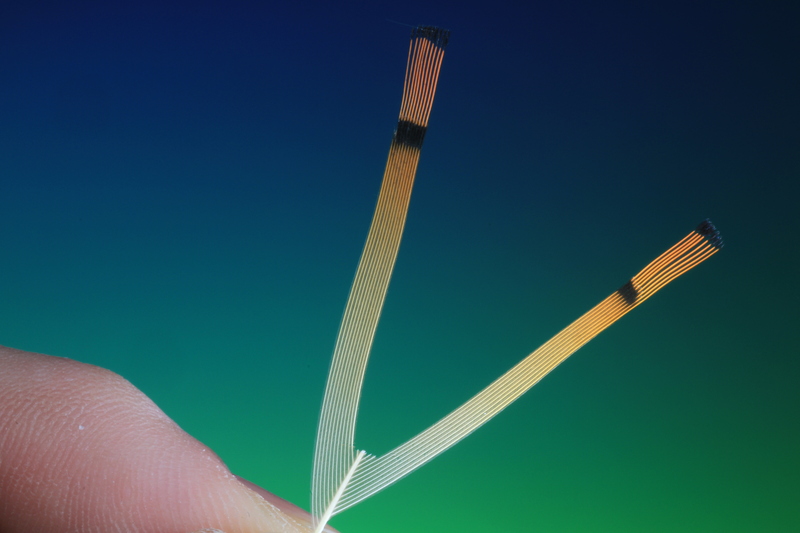 Now make two small ridges with tying thread at the wing tying in point, about 1 mm apart. This will make a groove for the wing shafts to be placed. 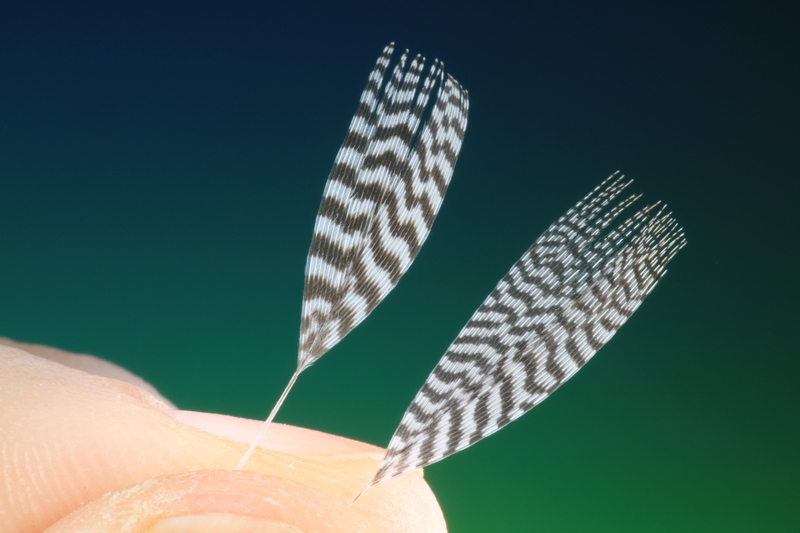 Prepare two fan wing feathers by stripping off the lower fibers from the shaft. Dont worry too much about the wing tips not being too square this we will fix later. 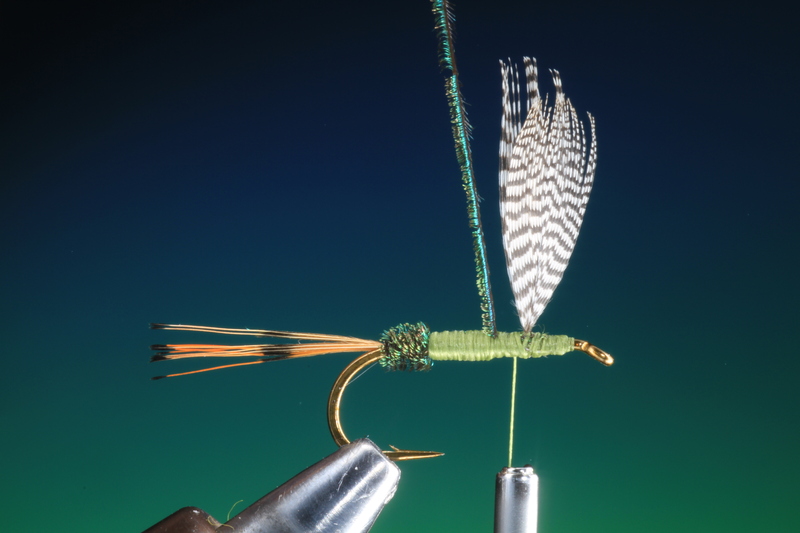 Place one of the fan wings in the groove and tie in as with a regular dry fly hackle X whipping. Now repeat with the second fan wing on the opposite side. 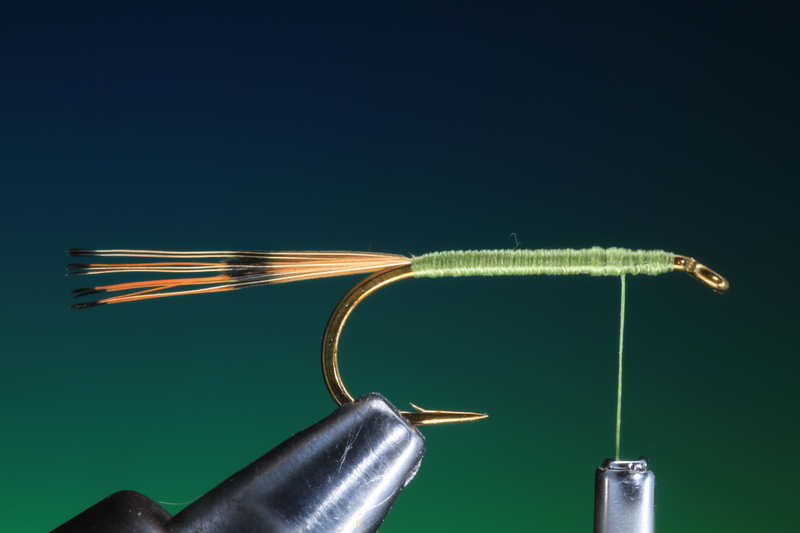 Tie down the hackles keeping them vertical and run your tying thread to the rear of the hook shank. Take a long peacock herl. 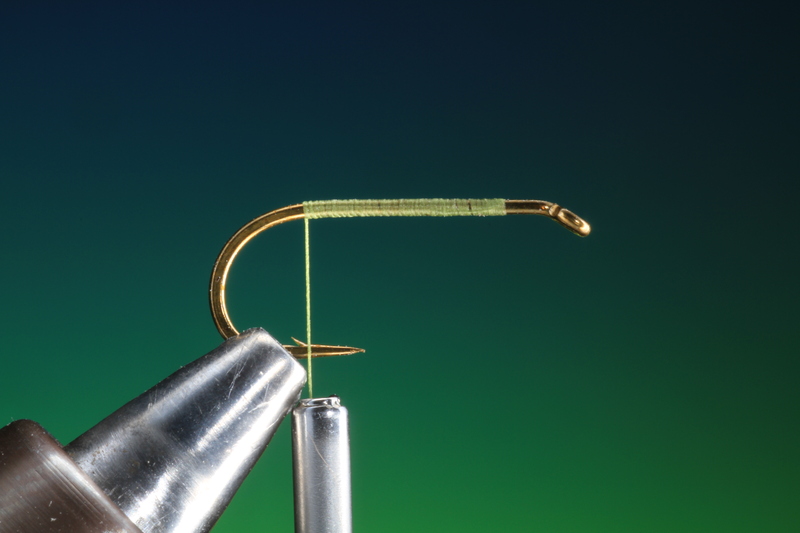 To get the peacock herl to warp correctly, tie it in by the point with the concave side to the hook shank. Again tie in the herl the full length of the body too the wing. Wind your tying thread about 1/3 of the hook shank. Wind on your peacock herl in tight even turns about 1/3 of the body length and tie off. Now carry on winding your peacock herl 2/3 of the body length. Cover the second third of peacock herl with wraps of tying thread and the a few wraps further into the wing. 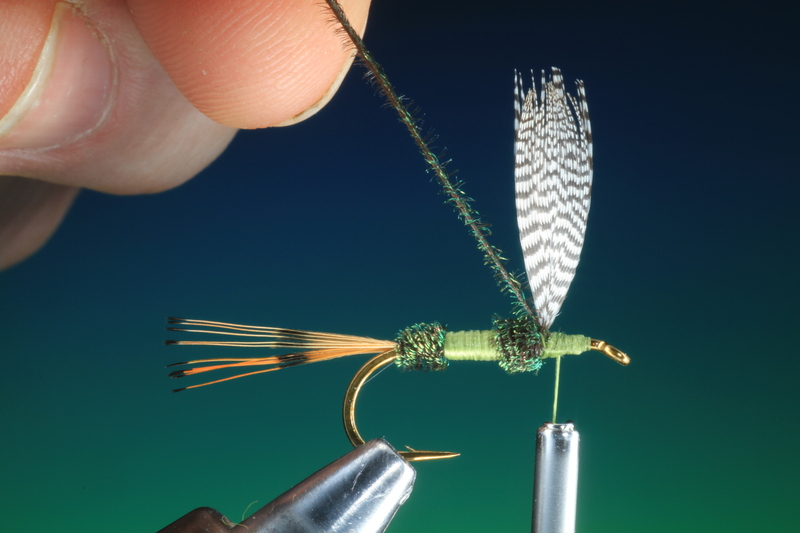 The wraps of tying thread over the peacock herl will give the body the required thickness. Now make the next segment of peacock herl into the wing base and tie off with a couple of turns of tying thread. 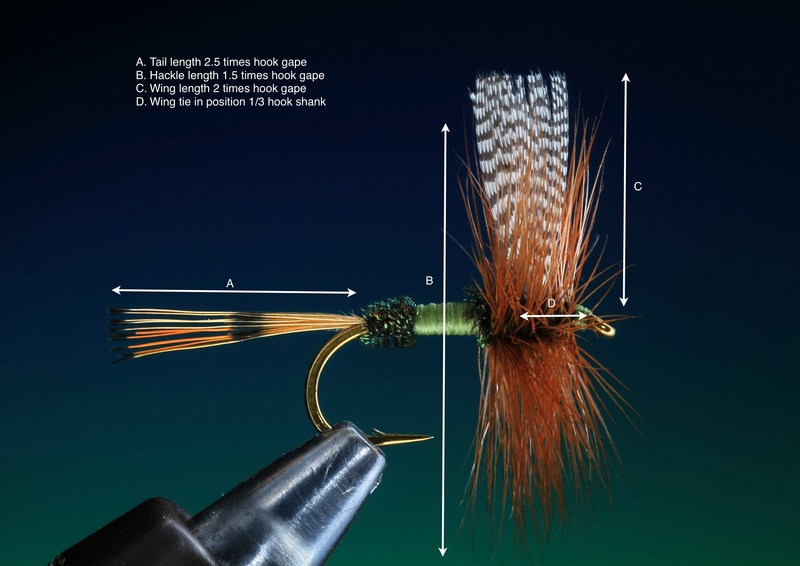 Select and prepare a hackle and tie in so the hackle is vertical and then run your tying thread for ward to the hook eye. 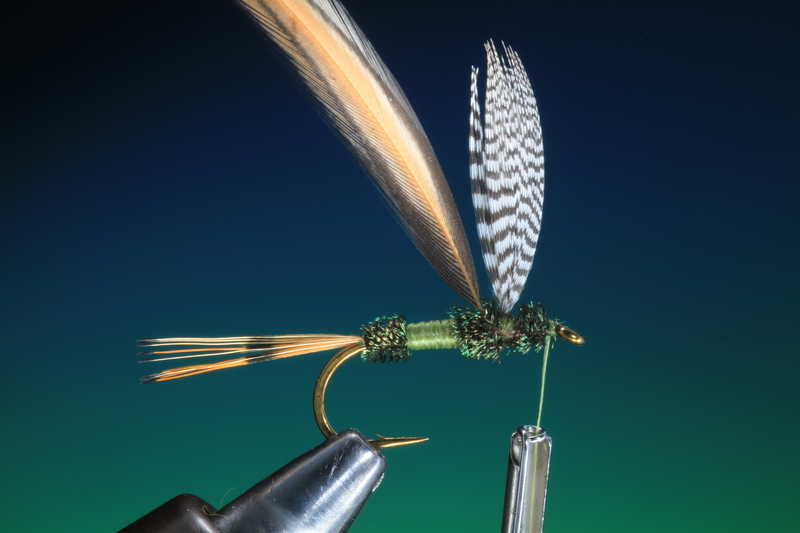 Remove the hackle stem and wind on the end of the peacock herl and tie off a couple of mm behind the hook eye. 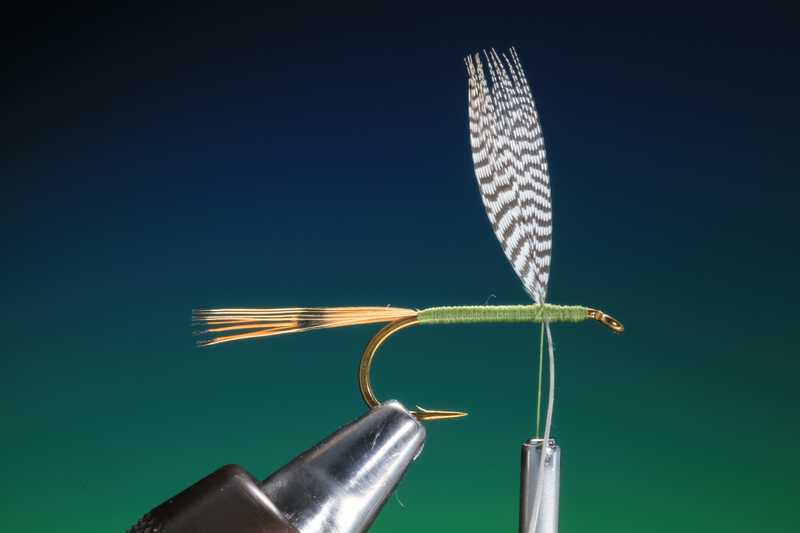 This peacock herl will give you the best foundation for your hackle. 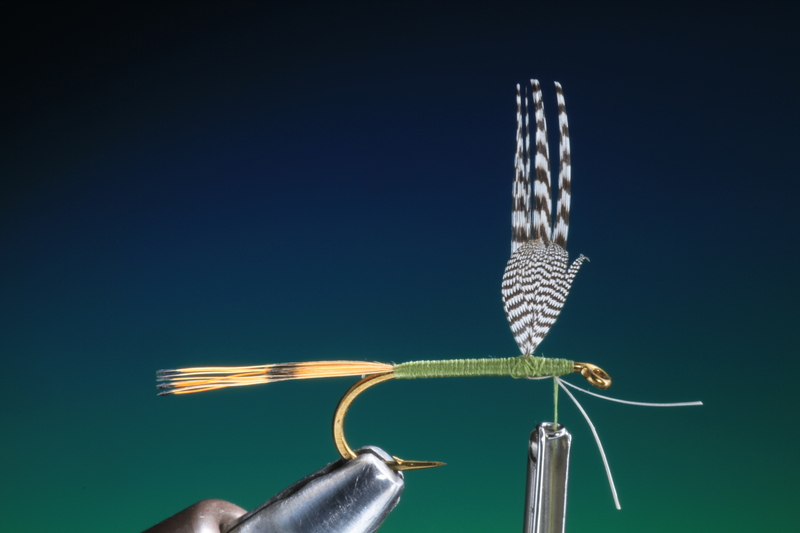 It creates a track that each turn of hackle will fall into and ensure that the hackle points stay vertical when wound. 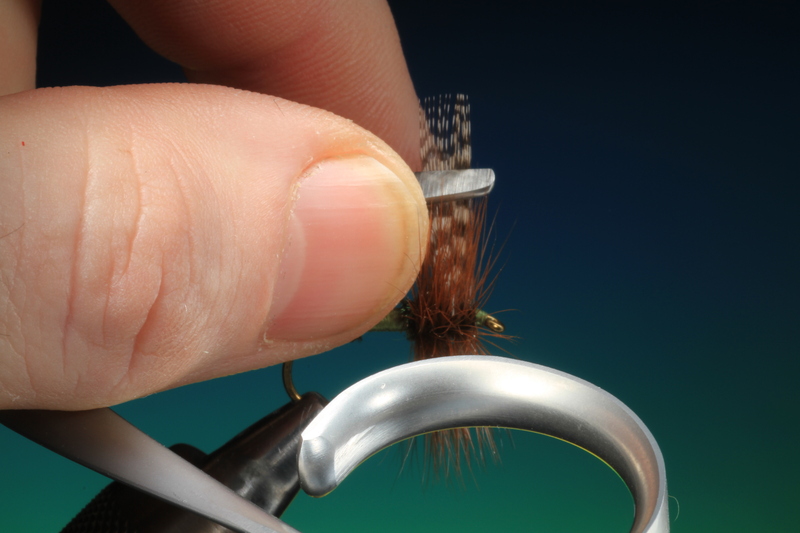 Attach a hackle plier to the point of your hackle and wind on your hackle in nice even turns, taking care that it doesn’t twist or buckle. Tie off a couple of mm behind the hook eye. Now take some flat edged scissors. While holding the wings in one hand, and holding the blade along the desired wing length position press your thumb against the blade trapping the wing points and whip off the points with a twist of the wrist. Take care that you are holding the wings tightly, otherwise you may pull them off! The finished fan wing dry.